Grey hair sprouting all over? Well there is some truth to that because grey hair has a faster average growth rate compared to hair with pigment (on the same person - as opposed to the previous post where pigmented hair grew faster in younger women compared to post menopausal women). This actually somewhat related to hair thickness because grey hair is on average thicker than hair on the same head that still has pigment. However, there are likely to be other additional factors (Eur J Dermatol, 14: 28–32, 2004). More Care For Grey Hair? Some studies have shown that as little as 15 continuous days can create loss of 85% of this amino acid. Remember, sun damage is cumulative which means if you have half a day of sun shine today and half a day tomorrow, your hair has had one day of UV exposure. You cannot repair the damage from the previous half day. What you can do is use sunblock on your hair (noting that hair products do not have regulation on sunblock though). You can also look for this ingredient - Cinnamidopropyltrimonium chloride aka CATC aka Incroquat UV-283 which is a UV absorber. thanks for this information. 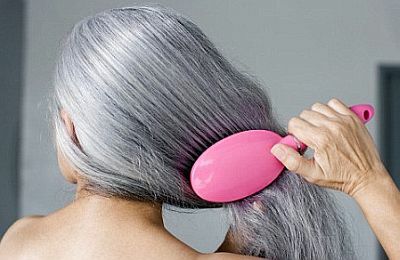 so anti-aging hair care is the same for anti-aging skin care. Would shea butter act as an effective sunblock? Yes, thanks for posting this! Very important to know. Yep Rae - perhaps not stay completely out but protect yourself when you are. Anon - ooo you need to click on that link to HGH! the answer is there. Anon Happy Girl Hair closed down unfortunately. I have now removed the link from my page. I'm growing out my natural salt & pepper hair. Thank you so an informative blog. I know anti-aging skin care, but't nothing about natural hair. 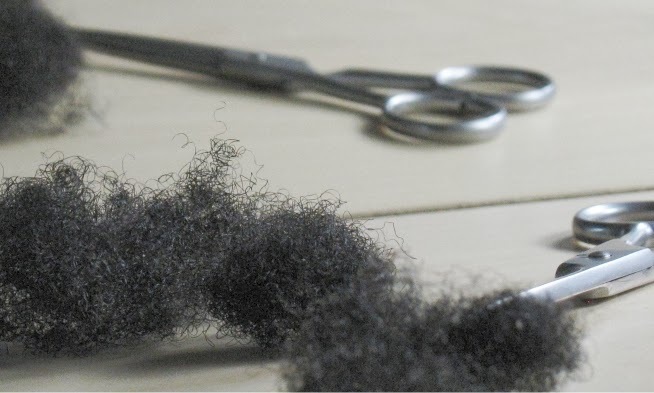 That is why I kept a scalp-cut because there is very little information on the care of natural hair. What about putting regular sunscreen in your hair, like you would apply a leave in or an oil? Would that help protect against UV damage?